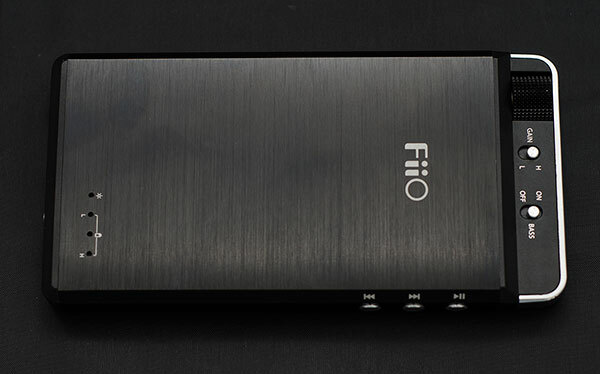 The FiiO E18 has a lot going for it to be honest. It forced me to buy a Samsung S3 and those who know me would tell you I am not a touchscreen fan. The form factor for pairing with the S3 is perfect and the upgrade on the stock S3 is excellent with increased detail, slam and sound stage and significantly its a new path for FiiO with a more neutral and forward tonal quality that I find pretty agreeable and hope they continue to develop on this platform. I had a lot of fun playing the E18 out of both the S3 and the PC and the little track button control section work seamlessly on both platforms. The fact it can act as a power bank when not in audio playback mode is just the icing on the cake. IEM’s and fairly easy to drive headphones are the best match such as the K550, but anything more power hungry or higher resistance wont work. This is a device for ‘on the move’ audiophiles and as such I am presuming most will use easy enough to drive cans and will hear the benefits instantly. 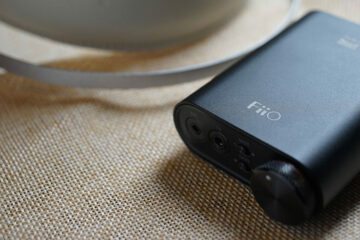 As a convergence audio device it easily FiiO’s most accomplished work to date for me personally. Hi Marcus, Nice review. Gone through all your reviews on Fiios where each one provide gr8 level of details. However have some doubts..
After X3/X5 FW update they can do the same thing as E17/E18 on top of being stand alone music players (I guess). 1. How would you rate the SQ compared to E17, X3, X5. Which one of these give crispier and clean sound? 2. Do X5 give enough reason of sound improvement to go for it rather than E18 knowing both have same chip? Thanks buddy for the compliment and glad you likes the reviews. 2. Depends on what you are hooking up the E18 to actually but the X5 has a bit of an edge. Hi there! Great review, I’ve found myself completely lost by the lack of real reviews like this regarding the e18. Although I have a LG G2, I spend most of my time listening to music on a iMac (flac only). Do you think this is the best DAC/amp for the price for a Mac user? I have a Beyer DT990 PRO 250 and a UE 6000. Do you think it can drive them? Many thanks. The pro is a 250ohm can and DAC wise you should be fine but amping wise you might want to try adding a FiiO E12 headphone amp or at least demo it as the DT990 PRO 250 needs a bit more power than lower impedance cans. The UE600 I do not have that much experience with to comment but the E18 should be a reasonable start. Many thanks for the quick reply! One more question, how does the e18 sound when connected directly to a mac and a power supply? I heard the e11 create a lot of background noise when charging. Is the e18 a good iMac > DAC/amp > headphones or should I try the nuForce or a e09k+e07k? Thanks again. Sadly I do not have a Mac. Does the E18 decodes everything coming out of my android device/computer or just the music files sitting in the storage? For example, when I’m watching youtube, or listening to Online radio, is the E18 does the decoding or is it my host device does the decoding? You Tube and online radio is confirmed to be decoded by the E18, but FiiO said beyond that they couldnt be sure as each application you load might have its own particular way of delivering audio. Is E18 the only portable dac/amp that will decode everything such as Spotify and Youtube from phone and laptop? Celsus Companion One will stream 24 bit wireless also from your router to headphones bypassing wires and any codec but will cost you $600 – a FiiO K1 will work and cost you $35. You are not decoding the app by the way, if it works with your phone then it will work with any sound you run through it. Its the codecs you are throwing at it that will determine if it will decode and that can be an mp3 file, a flac or AAC etc. It seems that at least Sony Kitkat update for Xperia ( I got Xperia Z ultra) should support DAC over USB but I have read some comments that Kitkat (not CM based roms) do not support it. Is that not accurate? This would be beyond our scope as a portable audio website, we would be focusing more on the e18 than Android Roms. What I normally suggest is keep tabs on user comments in XDA and the main fiio website for ROM functionality. I currently have the E11..you think, even as an AMP this will be much cleaner? 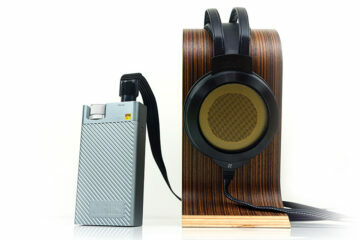 It is a power and fun little amp but not as clean or modern as the E18 and also much darker. I actually like using the EQ on the E11 for some older songs that lack bass even though my headphone is good at that (MDR-X10). Looks like the E18 has one bass setting but I wonder if it is comparable to the “level 1” boost in the E11. If so, then I think I can upgrade and enjoy a higher end sound. The E11 bass is crude, muddy and colors the mids – its not really a true bass so to speak, lacks control for me although it is fun. Works fine for my Sony Xperia Z tablet…it recognized the DAC automatically. Not as noticeable of a delta on sound quality as the Samsung S4. Good to know about the sound quality difference. I am guessing that I wont get much of a difference either with my Xperia Z Ultra then. There is a slight noticeable improvement. However, even though I am pretty picky and already own the E18 unit, it is not easy to manage with anything bigger than a cell phone. The unit comes with 2 rubber bands which makes it easy to tie down to a cell phone. The micro usb to micro usb cable is only 2″ so with a tablet it is not an easy thing to manage as I often work with the tablet in the upright position…either the cord is ‘bent’ (if at the bottom) or the e18 is left hanging off the back of the tablet (if at the top). :) If I had a longer cable, then I would leave it just sitting next to my tablet. But apparently these cables are very rare and hard to find. Bottom line, the Sony sound quality was good enough for me without having to go through the hassle of setting up the E18. However there is a long e18 thread in Head-fi that has more feedback on other phones so yours might be in there. Hi, would the DAC function of this work with any USB-OTG capable phone? Also, I have an Audio-Technica Pro700-Mk2, would this work great with it? Can you recommend any other amp/dac that’s around the same price as this that would work best with my pair of headphones? I live in the Philippines, if that would help. Thanks in advance! On head-fi they have a current list on the fiio E18 thread of what will work and what will not work using OTG – also the fiio site has a smaller list. The MK2 should be just fine with the E18. I cant think of any amp/dac OTG combo at this price to be honest other than the Ibasso D42 or the E17 and E07k also from FiiO. Thank you very much for your immediate reply! I had been on the market for a great pair of headphones just a month ago and HeadFonics helped me a lot in choosing one. Then now, you’re still helping me satisfy my ears by helping me choose a headphone amp/dac unit. Thanks a lot for the choices that you gave me, I’ll try those in the store. Mabuhay ang Headfonics! Hi, loved your review. I really found it to be helpful and precise. I just want to know two things. Is the E18 better than E17? For me personally it is technically a better DAC than the E17 and more focused on OTG than the E17. Some people prefer the tonality of the E17 over the E18 but thats down to personal preference. I dont have a Note 3 but it comes down to power and the E07k is more likely to be ok than the E17 but why not demo and see if that is the case. could you describe their sound a little bit? The E18 or the E17? The E17 is more warm, lush and laid back and the E18 is cleaner, more spacious. I see, have dragonfly 1.2 right now, a little bit too lean and bright for my taste, think E17 would be a good fit for me? • I don’t like listening to music at high volumes. Would spending $160 for this be overkill? I’m on a limited budget, and anything over $40 is expensive by my standards. It seems to combine the best of headphone amps (alternatively deciding between $63 E11 and $129 E12) and the best of DACs (alternatively deciding between a $25 Muse, $45 Syba, $50 HiFiMeDIY, and $99 Schiit Modi), but I’m not sure if this is worth the $71 margin over the E07K. I’m not sure whether I should separately buy a good amp (E11 or E12) and a good DAC or splurge on this new item that doesn’t have many reviews on Amazon, and even seems to have some issues with the HTC One, which is what I’d mostly be using it on. Too much information, too many choices and it shows. Start slowly – HTC One should be fine with an e18 – that means a portable setup and the M50 should be fine, but not good for classic in which the Sony would perform better. You are buying an E18 which primarily is a portable dac/amp with the ability to DAC and/or amp your pc. The rest of your choices are desktop based only or amp only with the E097k not as good as the E18. Having both the E11 and E12 the E18 is a class higher and better for IEM’s. The Modi is a great DAC but you still need an amp and then your back to desktop. Thanks for responding! I’ve heard the HTC One has an issue with background buzzing noise due to it being in a metal encasing ( amzn.com/review/R3OKA23LXJJFQK ). The E18 has so few reviews on Amazon that I consider it to be somewhat of a gamble, whereas if I go with the E12 I can be relatively assured that it will work, albeit only from the 3.5mm jack and not the native micro-USB line out (thus, I couldn’t circumvent the HTC One’s native DAC, which wouldn’t be possible with just an E12 anyway). To complicate things further, even though most people seem to find the E12 superior to the E11, anecdotally people seem to enjoy the E11+M50 combo far more enthusiastically than the E12+M50 combo, likely due to the E11’s stronger bass signature combined with the M50’s relative neutrality across the frequency board. After having read all the reviews on Amazon, I know that people definitely do enjoy the E11+M50 combo, whereas the E18 might be technically better, but I’m not sure how well it pairs with my M50 or V6––the combo might just be a little too “analytical” rather than musical (i.e., warmer and more laid back tonality). Sorry for all the text, but I do appreciate your insight. The E18 sells as an Android compatible device. I currently have the much cheaper E07K hooked up to my Sony Xperia Z Ultra with a USB otg cable and the phone plays just fine. What is it that the E18 can, that the E07K can’t? What do I get for the extra 70-80$?? I just got an E18, but I am sending it back for a refund! Tell me, what good is this device, when the interconnect is only 2 inches long? What use are the remote buttons, when the phone is 2 inches away? how do you handle the damn thing, is such close proximity to your phone? Listen Fiio, make a three foot usb cable, or pull the device off the market! Is this your first time doing personal audio? Just about every portable stack user I know wants a 2 inch or less IC to keep everything compact and clean. It is supposed to be in close proximity to your phone so you can hold both it and the phone as a “single unit” when moving around. You can use or not use the remote buttons as you see fit but if the unit is in your coat pocket or screen is on lock then perhaps a set of remote buttons might actually be quite useful. It also comes with a 3 foot usb cable in the package for use with your PC also. Try using google to see how portable audio works – you will find the short IC is just about top of the list of necessary items. You seem to miss the point. Keeping the two together, does not make it compact or neat, it makes bulk! stick them in your pocket and your jacket leans to one side – besides, I know I can choose not to use the remote buttons, but spending money to put them in, and then connect them with a two inch cable defeats the idea, No? I get your point quite well, it is just I dont agree with it. I also have the E18, The theorem 720, the v-moda vamp, the cypher Labs -r, -db the MK1 and they all follow the exact same design – i.e. they lay flat underneath your source device with a very short cable. The only company that has designed anything specific to avoid straps is V-Moda and you would pay $100 for the S3 shell to avoid straps. For everyone else if they want longer cables you can buy a mini to mini OTG for roughly around $5. It is, for now. the defacto standard for all manufacturers listed to supply small IC and go strap due to the fact this is what the market is asking for. You’ve posted this on pretty much every review site for the E18, whether Amazon, forums or blogs. Just give it a rest and go buy a longer cable, they are very inexpensive, accounting for maybe 1% of the cost of your device. Yet you ignore the other 99% of your device just to scream the same message wherever you can. You’re either employed by some rival firm or just someone with far too much time on their hands. Hey, great review! I have recently lost my E17 and am now considering the E18. I tend to crank up the bass boost of my E17 up to +8 in loud environments such as in the bus (I have the K550 as well). Seeing that the E18 doesn’t have adjustable bass boost levels, which boost level of the E17’s is the bass boost on the 18 equivalent of? Good question , sadly I dont have an E17 with me right now but in the E18 bass boost begin just under 1kHz and peaks around 55Hz @ +5.3dB – hope that helps. oomph is so hard to classify but I am playing the E18 out of my S3 right now with the K550 playing “The Veldt” and “Fn Pig” by Deadmau5 with bass boost switched on and I am quite happy with the result. I am not a basshead though. I would say stick a Digizoid zo 2.3 on the end of it and you can get slammin quantities for very little extra on both the wallet and size of the stack. Does the E17 even work on OTG for some phones? I know the e07k does. Never had the E17, but do have the E07K. E18 is much better for bass registers, indeed it is a little bass heavy for my taste, but bass definition is there, and that’s all that matters! besides it does have a bass boost button. I use UE900’s , and it can drive my old 600 Ohm Beyer headphones too. Yeah the E18 technically is a step up from the amping of the E07k but some still prefer the warmer more laid back tonality of the E07/17. Me I prefer the more spacious and slightly more neutral tonality of the E18. How would you compare the e18 to the e17? I had read with an OTG cable, the e17 could be used with some android devices. Would you say one is superior than the other, if both were to be used for PC and/or Android device, as far sound quality goes? The e17 is warmer and more laid back and the e18 is cleaner and more neutral. I would say the E18 is also more spacious. Me personally its a tough call for PC usage but so far I am enjoying the E18. Hi, can you try using the Fiio E18 with other nom-Samsung android phones like the HTC One or Sony Xperia Z1 and confirm that the E18 is able to work with non-Samsung devices without using the USB Recorder Pro app? 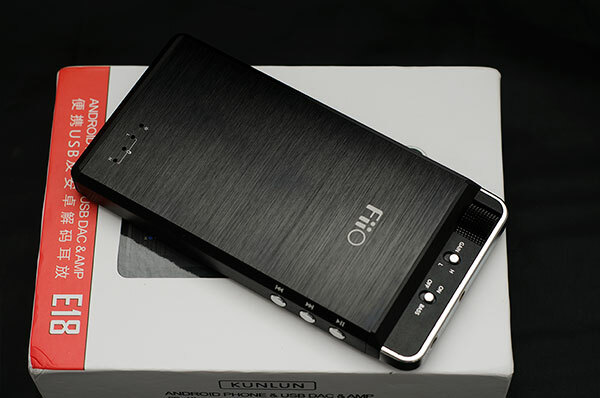 That will be difficult to acquire but there is a thread on hifi with the latest updates from FiiO on phone compatibility you might want to check out. That will be difficult to acquire but there is a thread on head fi with the latest updates from FiiO on phone compatibility you might want to check out.